On November 20, the Rogers family donated an unprecedented $130 million to create the Ted Rogers Centre for Heart Research (TRCHR). The new Centre unites research expertise from the University of Toronto, the Hospital for Sick Children (SickKids) and the University Health Network (UHN). Together, these organizations are matching the Rogers family gift with $139 million, for a total investment of $269 million. 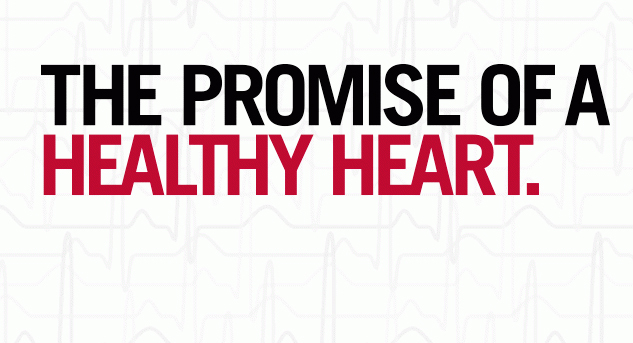 With a goal of reducing hospitalization for heart failure by 50 per cent in Canada over the next decade, the cross-disciplinary TRCHR was conceived in memory of the late Ted Rogers, who spent his life embracing new technologies and also had first-hand experience with heart disease. U of T Engineering received $20.5 million of the donation, which will be dedicated to transformative research and commercialization at the Institute of Biomaterials & Biomedical Engineering (IBBME)—a unique, multidisciplinary graduate research unit at the cutting edge of innovation in biomedical engineering. (L–R) IBBME professors Craig Simmons and Peter Zandstra will join the new Ted Rogers Centre for Heart Research (Photo: University of Toronto). Several U of T Engineering faculty members and graduate students will join the TRCHR as part of a new Ted Rogers Program in Translational Biology and Engineering. Here, they will combine stem cell technology with tissue engineering to regenerate heart tissue, heart valves and cardiovascular vessels. The research will reveal new possibilities for more effective heart therapies and create new technologies for improving heart diagnosis and monitoring in clinics. 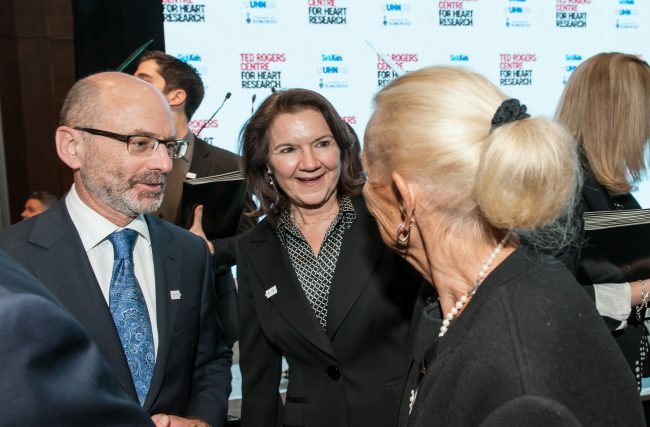 The donation enables the expansion of IBBME’s state-of-the-art laboratories, and also creates two new Chairs—one in Immuno-Bioengineering and another in Cellular Systems Modelling—both located at IBBME and cross-appointed to UHN’s McEwen Centre for Regenerative Medicine. Professor Peter Zandstra (IBBME) will be the lead U of T investigator at the Centre—accepting the role of interim scientific director for the Ted Rogers Program in Translational Biology and Engineering—where he will be joined by IBBME professors Rodrigo Fernandez-Gonzalez (IBBME), Milica Radisic (IBBME, ChemE), Paul Santerre (IBBME, Dentistry) and Craig Simmons (MIE, IBBME). Mansoor Husain, director of the Toronto General Research Institute, will be the TRCHR’s interim executive director. 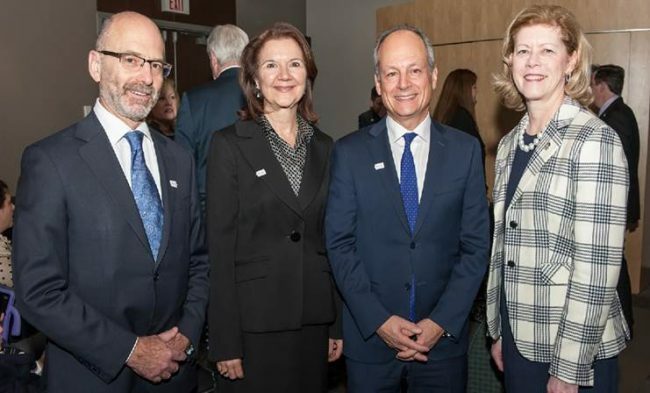 “The [TRCHR] represents a unique marriage of the engineering and science strengths of IBBME with the clinical expertise of UHN and SickKids—it’s a truly natural and powerful partnership,” said IBBME Director Christopher Yip. “IBBME has a long-standing history of exceptional collaborations with organizations across Toronto, and indeed the world, that are focused on advancing and translating health research and innovation”. Currently, IBBME faculty members are working with UHN researchers on new methods to treat diseased heart valves. They are also engaged with SickKids clinicians and researchers to engineer new heart valves that replace those of children who were born with heart valve defects. A 1931 Rogers Majestic radio (Model 640) on display in the lobby of U of T Engineering’s Galbraith building—in memory of alumnus Edward S. Rogers Sr.’s pioneering contributions to Canada’s radio industry (Photo: Roberta Baker). The Rogers family donation is not the first in their support of U of T’s Engineering’s research and teaching excellence. In 2000, they gave $25 million to establish two research chairs—the Edward S. Rogers Sr. Chair in Engineering and Velma M. Rogers Graham Chair in Engineering—and to endow graduate and undergraduate scholarships that supported 150 students in the last year alone and more than 1,600 students since it was established. The Faculty also renamed the electrical and computer engineering department in honour of Ted Rogers’ father—Edward S. Rogers Sr.—who was a student in the department from 1919 to 1921. With his technical inventions and business savvy, Rogers Sr. revolutionized the Canadian radio industry, launching the Rogers communications empire that exists today. 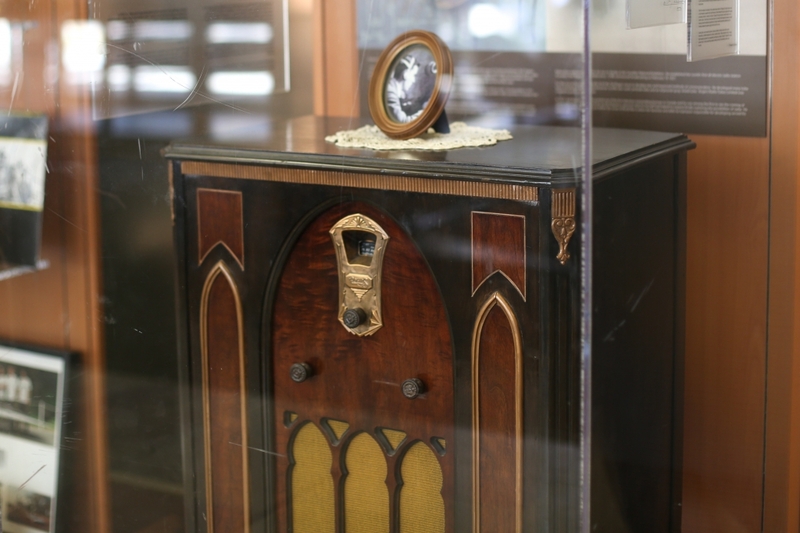 One of his early radios from 1931 is still on display in the Faculty’s Galbraith building. “On behalf of the entire Faculty of Applied Science & Engineering, I offer my deepest thanks to the Rogers family for their monumental support, for their leadership and for enabling research that will improve the lives of millions in the decades ahead,” said Dean Amon.